Hand Hygiene: A simple habit embedded in the complex process of care. What do you think the rate of adherence with hand hygiene practices is within the healthcare program at your facility? Have you experienced difficulty carrying out proper hand hygiene in your practice? If so was it because of any of the reasons listed above? 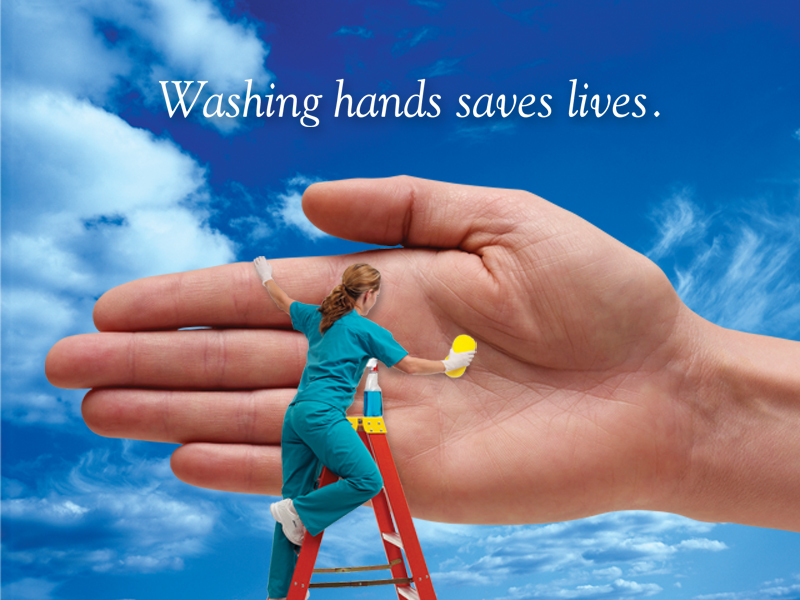 See a post from last August on the challenges of hand hygiene for correctional nurses at Correctional Nurse.net. In the last several years the World Health Organization, the Joint Commission and the Centers for Disease Control (CDC) have targeted reduction in healthcare acquired infection as a primary patient safety goal. The proposed standards for patient safety in prisons include the recommendation that correctional facilities comply with all category 1 recommendations in the CDC’s hand hygiene guidelines. The reason the Institute for Healthcare Improvement (IHI) held the forum last month was to discuss how some facilities have increased hand hygiene adherence into the 90% range. The main points from this discussion were that hand hygiene is a habit that develops well before the professional training of health care workers and that while it is a simple task; it is embedded in the very complex process of patient care. Link patient-centeredness to hand washing. Another facility mapped the process of care delivery and found that hand hygiene did not take place because it interfered with greeting the patient and bringing supplies into the room. The corrective action involved moving a privacy curtain and identifying more appropriate hand hygiene products available at the point of care. Hold healthcare workers accountable for avoiding harm. One of the facilities described coming to an understanding that compliance rates were simply an average. When they realized that while some staff were very adherent others were less compliant or not at all, a more individualized and targeted approach to improving hand hygiene was initiated. An audit procedure was established to observe healthcare workers and to provide individual, specific feedback on compliance. Providing feedback was described as an opportunity for a conversation that was sincere and serious. Failure to improve was escalated up the chain of command but still treated as an important conversation. By focusing on individual knowledge and practice competency, overall compliance rates increased. Demonstrate that avoiding harm is a priority. Leadership needs to demonstrate the priority of hand hygiene in patient safety. Already described were nurse managers putting new reminders in patient care areas every day. Another example is a CEO who tests knowledge of staff about hand hygiene while on rounds at the facility. He selects five questions each week to keep the dialogue around hand hygiene fresh and interesting. Share your thoughts about how to improve hand hygiene practices in correctional nursing practice by responding in the comments section of this post. For more on hand hygiene in the correctional setting please refer to the Essentials of Correctional Nursing particularly Chapter 4 in relation to patient safety and Chapter 10 as part of the discussion about infection control. You can order your copy directly from the publisher. Use promotional code AF1209 for $15 off and free shipping. This entry was posted in Infection control, Patient Safety and tagged Catherine Knox, correctional nursing, Essentials of Correctional Nursing, Infection control, jail nurse, Patient safety, prison nurse. Bookmark the permalink. Habd hygiene seems so simple but is complex in health professionals minds otherwise it would be done all the time. Having handwashing “handy or in close proximity” to the work seems to be one key. We need dispensors on all medication and treatment carts as well as all other trays or patient care areas. Then the real effects of hand washing and hygiene can be felt with reduced illness and infection among patients as well as care givers.